This morning while walking into work I saw these trees with this amazing bark. 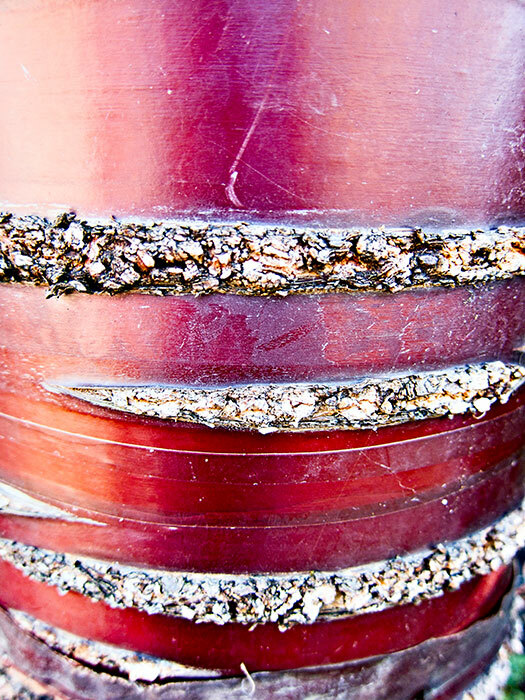 The bark was this rich maroon color that you see here. I’m guessing by the peeling nature of the bark that this is some variety of birch tree. Whatever it is it’s pretty cool looking. If you are a tree identification expert leave a comment and let us all know what you think this is.